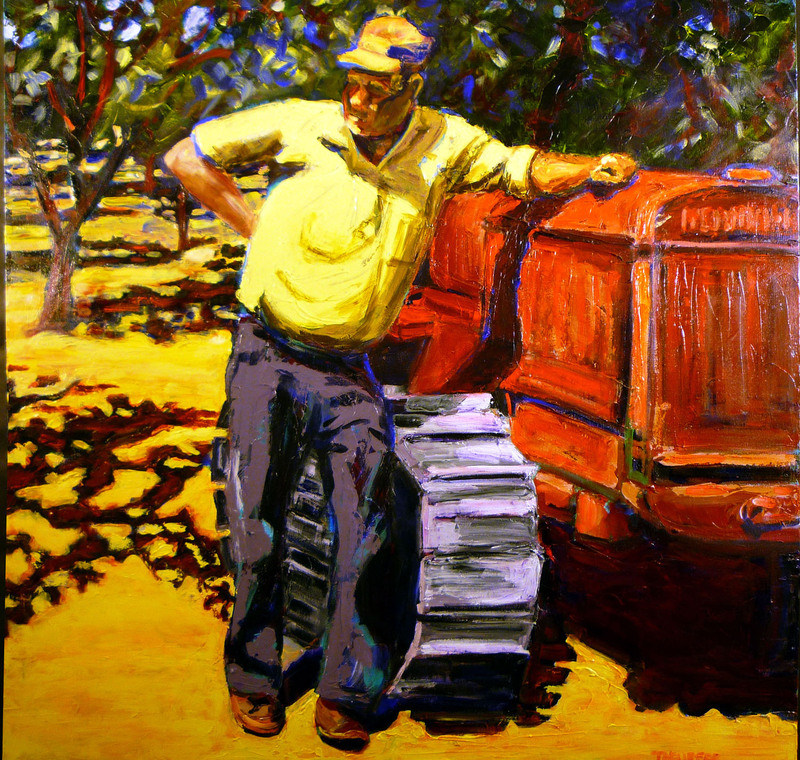 One in a series of paintings of my father with his old tractor (from a photo, circa 1959) will be shown at Walnut Creek Library, Sept. 15 – Oct. 13. It’s part of a Lamorinda Art Alliance show which also includes works by my teacher Marcy Wheeler and two of my fellow Lafayette Studio artists, Sharon Tama and Patricia Dallacroce. Check it out at 1644 N. Broadway, Walnut Creek.